Volkswagen has always been a truly visionary brand with a penchant for design. 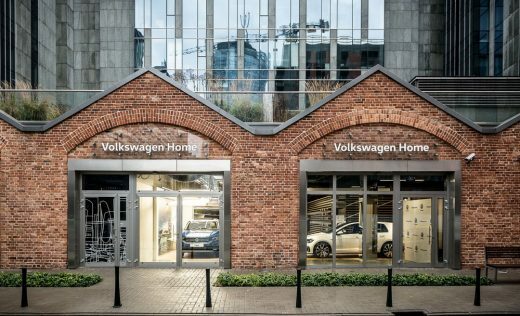 In this ever changing world, where new technologies rapidly transform the style of living and customers’ expectations, Volkswagen decided to create a unique project,Volkswagen Home, and invitedmode:lina™ studio architects from Poznań to design it. Volkswagen Home is a new philosophy of presenting Volkswagen cars, and it premieres on the Polish automotive market. 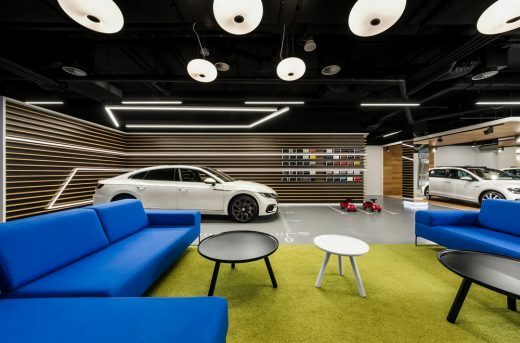 In a prestigious Karolkowa Business Park in Warsaw, mode:lina™ studio designed the frst such Volkswagen concept store in the world. The energy of the city of Warsaw is an ideal match to the design of Volkswagen newest cars – also full of energy, vibrant and ideally in line with the city and its vibe. Volkswagen gives its users a sense of security, and being in the car feels like home. 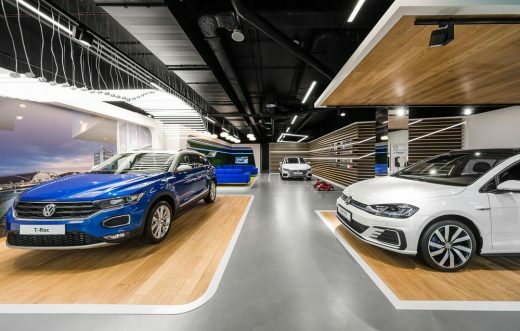 Volkswagen Home is like no other known car showroom. 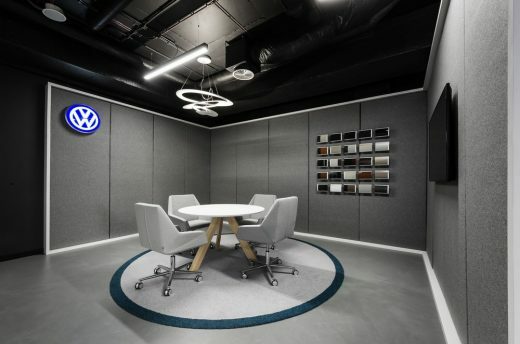 Using the 200 square meters space, mode:lina™ studio designers created an intimate area which combines a homely atmosphere with solutions inspired by Volkswagen style. 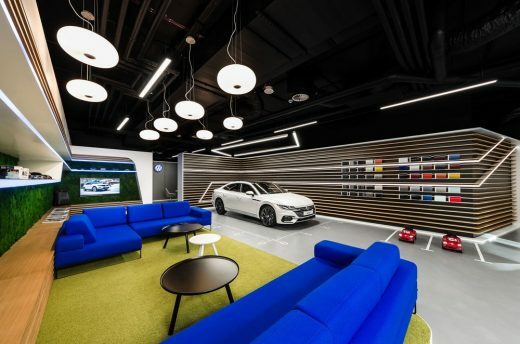 Using this new method and building a smaller showroom allowed to enhance the individual approach to clients, who in a home-like space of Volkswagen Home can customise their dreamed car. 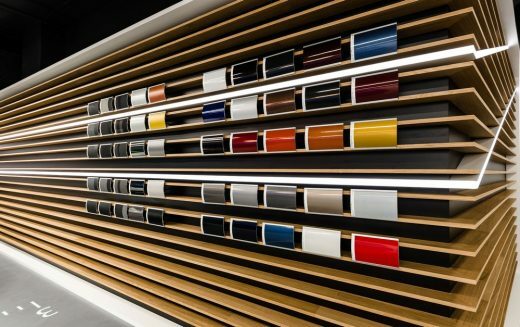 mode:lina™ designers coupled the use of wood and real moss in the showroom with flling the space with elements relating to the style and technology of Volkswagen and its fagship car models. 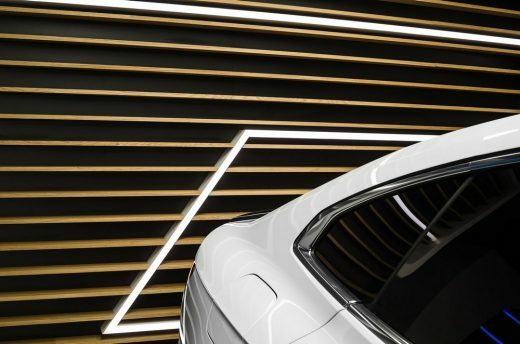 A wall made of horizontal long panels is modelled on the characteristic grille in Volkswagen Arteon, the precursor of changes when it comes to Volkswagen cars design. The style of Arteon models and the new T-Roc can also be seen in the showroom’s lighting. Its form employs a new design lines seen in Volkswagen latest cars. Technological inspirations complement the homely atmosphere and are further seen in the minimalistic form of lighting. Its most recognisable element are adjustable light fxtures which adapt to the shape of the Volkswagen displayed beneath them!